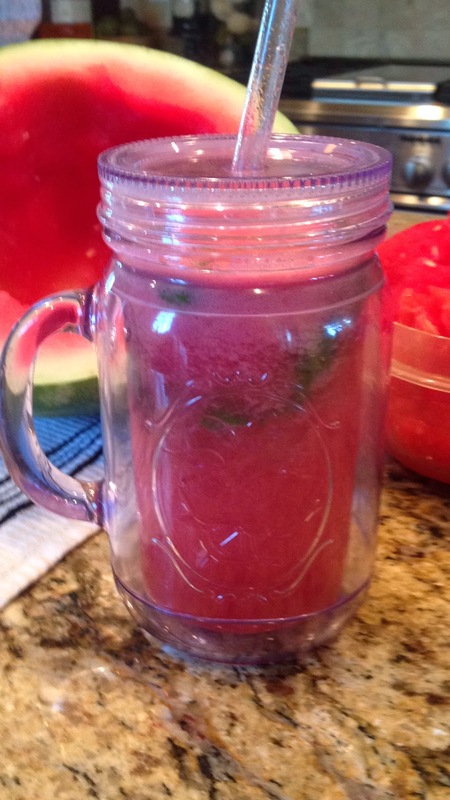 I want to share one of my very favorite, healthy summer drinks with you. This is a drink you can use as a snack or drink to get more healthy things into your body. 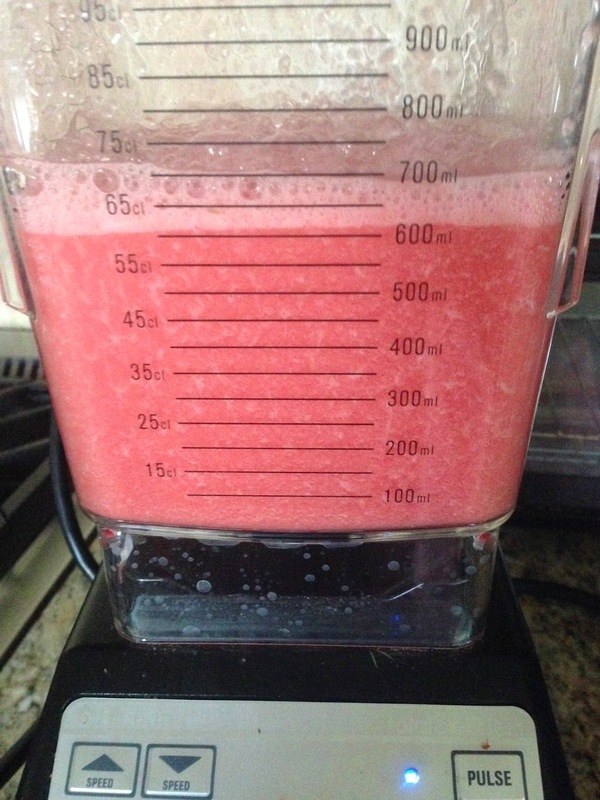 It’s nothing but pure clean yummy red watermelon that you blend into juice. Nothing else! Without a doubt, this is the easiest, most refreshing and one of the most healthy drinks you will make this summer. All you need is a watermelon. (I scoop my watermelon into a tupperware container for the fridge and its pretty much gone by evening or after breakfast the next day). Once it's cut up, it's easy to reach for a few pieces and blend it up. The good thing about this drink is that not only does it tastes great, but there are health benefits that go along with it. Watermelon has moved up to the front of the line, alongside tomatoes in recent studies on food high in lycopene. Lycopene is important for cardiovascular and bone health. It also has vitamins, minerals and antioxidants with a low calorie count. Not all fruit smoothies and drinks can claim that (some of them are very high in calories). And, because it's mainly made up of water and fiber, it helps digestion and promotes regularity. Now, I’m not a nutritionist by any means, but this is some good stuff! Did you know that the heavier the watermelon the better? Water increases as the melon ripens which makes it weigh more (who knew?). Now listen, this is not an ultimate smoothie, with vanilla yogurt and a double shot of syrup. That is what makes commercial smoothies taste like a milk shake that is creamy rich. If you want to be healthy, you have to eat healthy. But before you can eat healthy, you have to understand what is truly good for you. This is watermelon. Pure clean (meaning no added ingredients) watermelon. 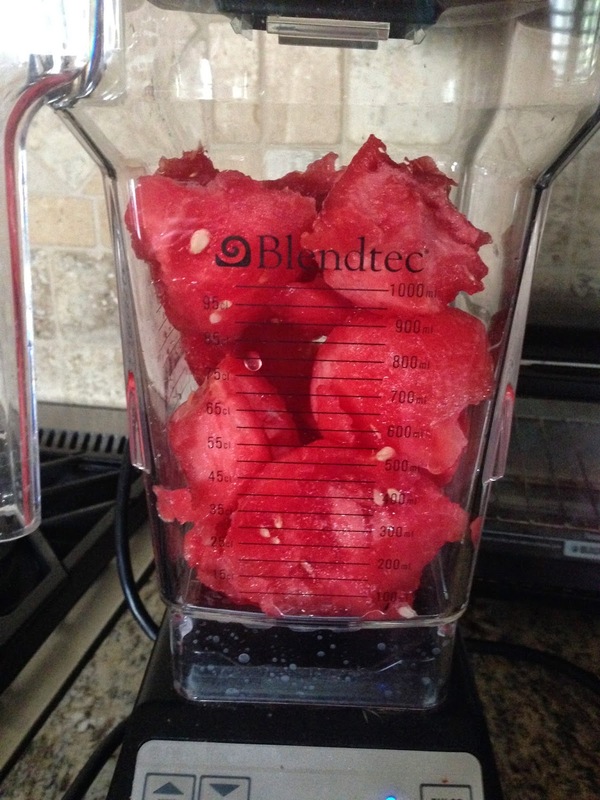 So it's going to taste like blended..... watermelon. Don't get your hopes up for an ultimate smoothie here. If you learn to fill up on good things when you want to snack, then good things are going to happen for you. But you have to teach your body what "good food" is first. 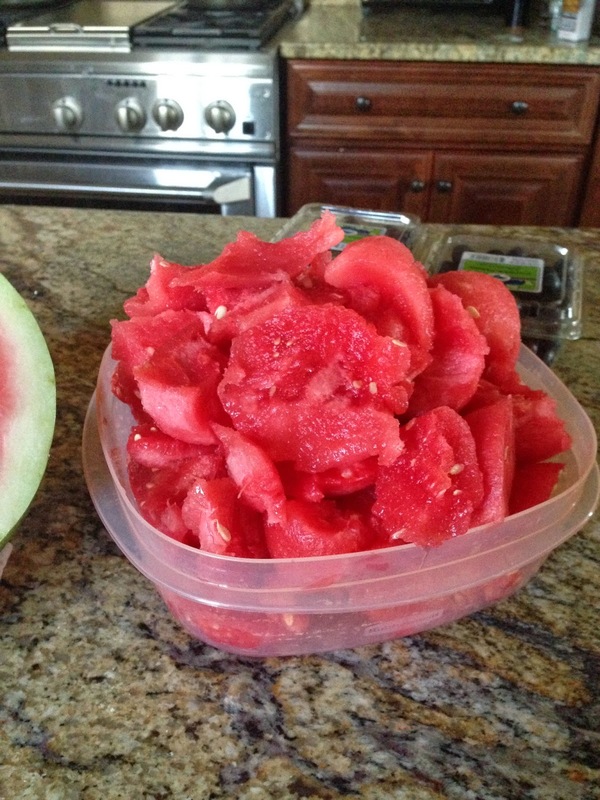 Fill up on fiber rich nutrient - watermelon. Your body will thank you and so will your waistline.